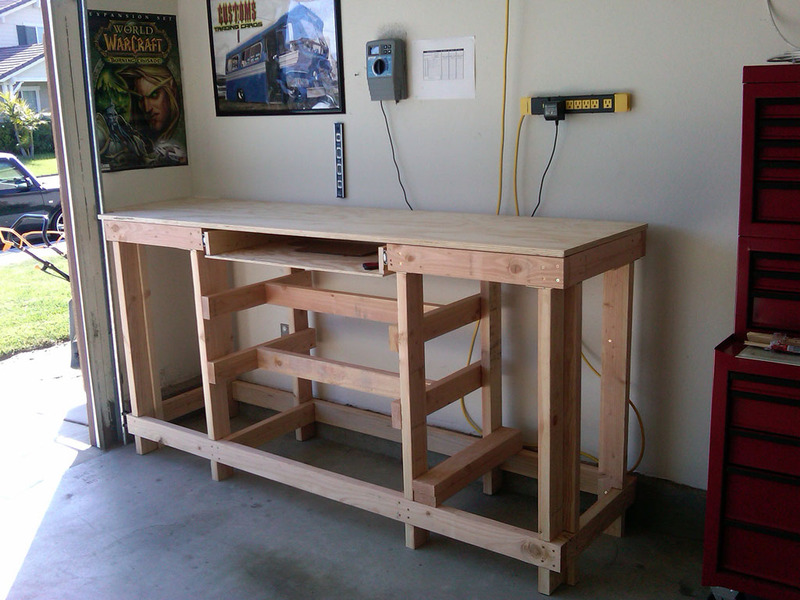 I was going through some files on my computer and found a couple of pictures from when I built my first workbench a couple of years ago. 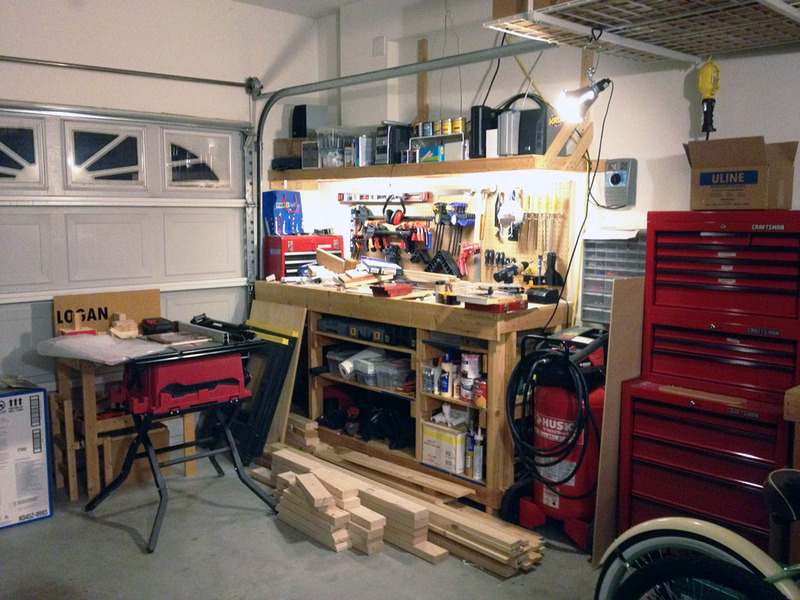 I only had a cordless circular saw and a cordless drill at the time and it was my excuse to buy a mitre saw. 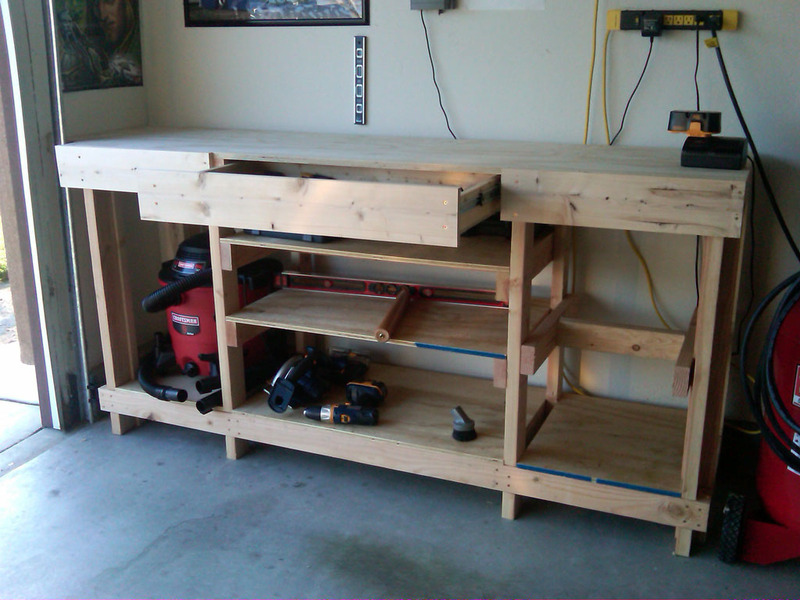 I had zero woodworking experience and was determined to over engineer the hell out of it. I think that I used 13 – 2×4’s on that one bench. Each leg is made out of 2 pieces of 2×4 that are screwed together in an L shape. I notched each one at the top and bottom by making a bunch of horizontal cuts with the circular saw and then cleaning them out with a chisel. I live in Southern California and during the next earthquake I plan on hiding in there. I had to redo the drawer twice before it worked right. 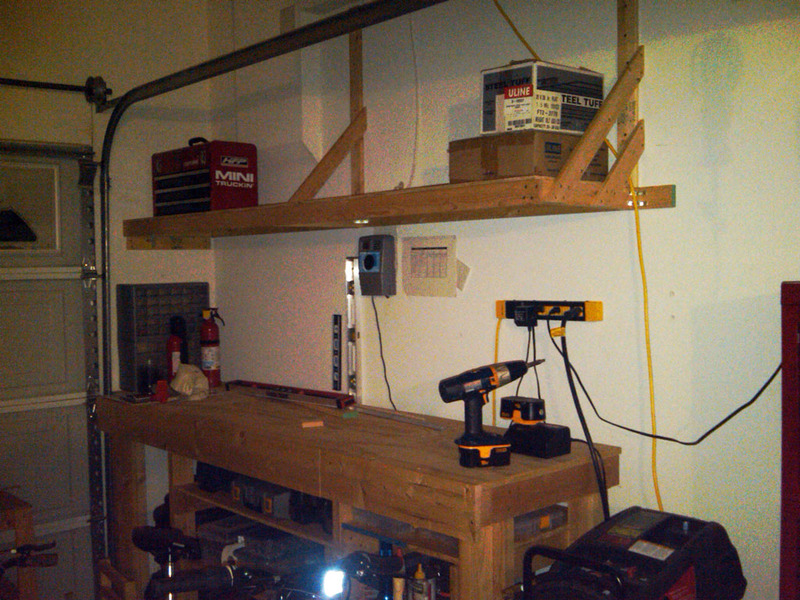 This when I first put that shelf in. I have added lights under the shelf, moved the sprinkler timer, and added pegboard to the back wall and this is what it looks like now.